Animal prints have been very popular in fashion for ages now. 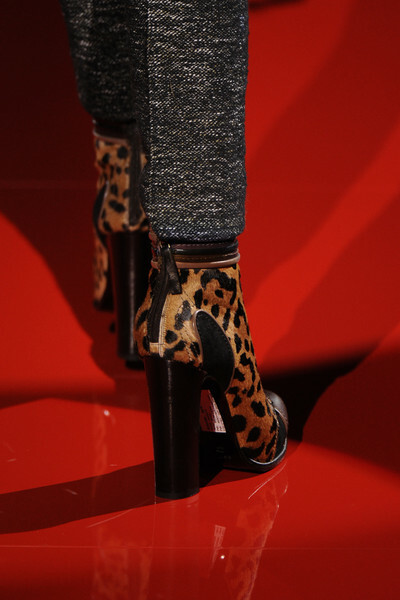 For this winter there were less animal prints on the clothes, yet looking at the shoes, it was one big designer jungle. Blumarine opted for zebra prints, Blugirl for leopard and snake prints. 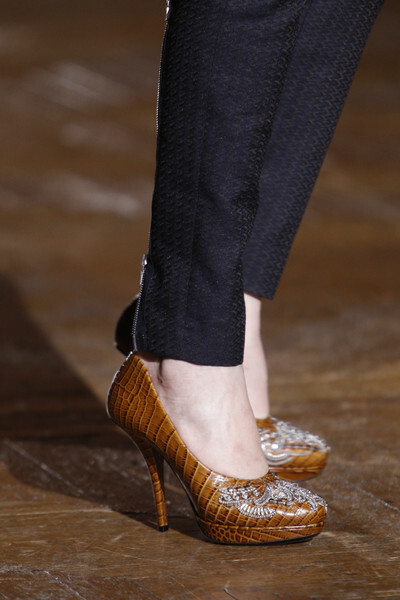 Also Emporio Armani, Rochas and Etro gave their shoes a leopard look. Vivienne Westwood did so too, yet showed her leopard print in red. 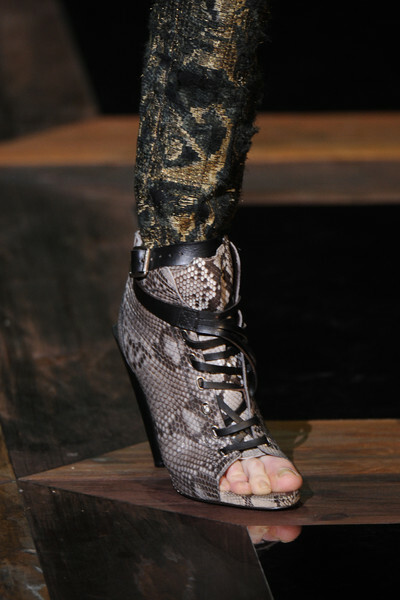 Dries van Noten presented some croco leather and at Dsquared designers Dean and Dan used pieces of skeletons as heels for their shoes. 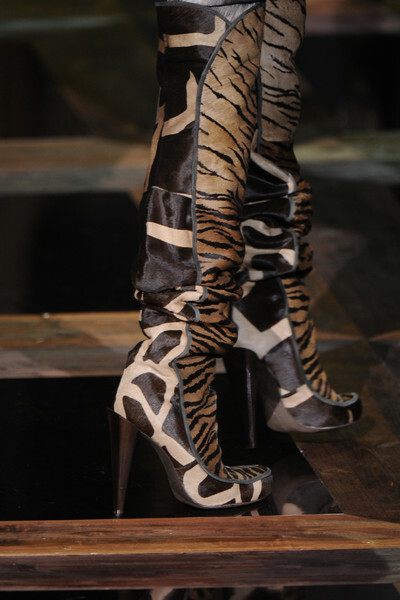 Of course Roberto Cavalli, king of the animal prints, exceeded everyone by using leopard, giraffe snake and tiger prints for his heels and boots. Which print are you gonna be strutting the streets in?